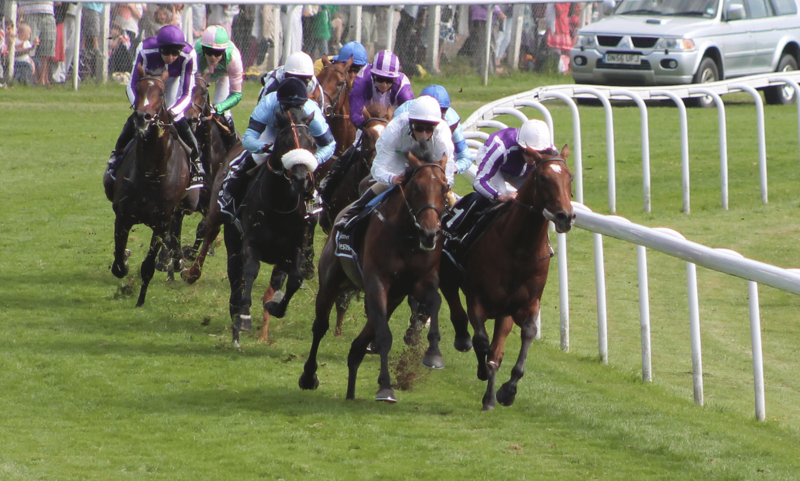 The Epsom Derby is the fourth classic on the horse racing calendar, but the one that everyone looks forward to. We get to see which horse is the best three year old over one mile and four furlongs, and the race is always full of excitement, as well as being full of quality. The Derby is more than just a horse race, it is a social occasion and with a good weather forecast for the day you can expect to see thousands of people flocking to the course to catch a glimpse of the race. From those paying hundreds of pounds for hospitality tickets to those who watch from the hill for free, Epsom attracts a wide range of people to the Derby, and that is one of the great things about the race, it is a race for everyone. With a field of 12 going to post, the race looks set to be a fantastic occasion, and one in which a star will come to the fore. We have 12 runners going to post for the big race of the weekend, and five of those runners are trained by Aidan O’Brien. One of those runners he has in the race is the favourite, Saxon Warrior. He propelled himself to the front of the betting after a thrilling win in the Guineas, and has been odds on to take this race from that moment until the draw on Thursday. That draw landed him in stall one, which is bad for two different reasons. The first is that traditionally this is a poor draw in the Derby due to the configurations of the track, and just three winners have come from stall one since starting stalls were introduced for this race. That is not ideal for Saxon Warrior at all, and if he is to win from stall one he will have to be a very smart horse, something many people believe he is of course. The second reason he has a bad draw is down to race tactics. His two potential pacemakers in the race are drawn on the outside, at the opposite side of the track to him. That is going to make it hard for the O’Brien runners to help the favourite, something they would have liked to do. Behind Saxon Warrior in the betting are the three horses most likely to beat him this weekend, they are Young Rascal, Hazapour and Roaring Lion. Young Rascal is a horse that demands a lot of respect, and he is one that can tick off two of the main boxes that his rivals cannot. The first is that he has won over this distance before, and he did it in good style when winning the Chester Derby trial. The second is that he will like the soft ground we have this weekend, and has won on it before. It will take a good horse to beat Young Rascal, he has proven form in the book and after just three runs he is likely to improve even further on the day, and remains an exciting animal to keep on the right side of this season. Roaring Lion was slightly disappointing when midfield in the Guineas behind Saxon Warrior, although he showed great improvement when stepping up in trip to win the Dante Stakes at York. That is often a very good Derby trial, and he did it very nicely that day, showing that his future lies over distances of at least 1m2f. He has another two furlongs to contend with today and that will make or break his chances. If he can show the same kind of form over 1m4f that we saw over 1m2f at York then he comes here with a chance of winning the race. However, if the distance stretches his stamina too far, and he puts up a showing similar to that we saw in the Guineas then he is unlikely to be involved in the finish. Hazapour is in a similar position to Roaring Lion regarding the trip after a very good effort over 1m2f last time out. However, one thing he has in his favour is that the way he ran that day, he looks sure to step up even further for this extra distance. The booking of Frankie Dettori for this horse is something that looks significant and a huge run would be no surprise. He has beaten a couple of his rivals previously, and looks to be the kind of horse that will come to life on Derby day and is one that certainly has a chance of winning. Behind these at bigger prices, Dee Ex Bee, Masar and Knight To Behold have all shown good form this season and are worthy of their places in the field. Seeing either of these winning the race would be a surprise, but they are lively outsiders that cannot be discounted easily from having a small each way chance. Where Can I Watch the Race on TV? ITV1 will be covering the Derby meeting on Saturday, and you can see the first five races on the card live on TV. The final race of those five is the Derby, which has a scheduled off time of 4:30pm. The race before the Derby begins at 3:45pm, leaving a big gap before the big race so you can get to see all of the horses taking part, and listen to as many opinions as possible. After the race you can expect ITV1 to show the presentation, as well as getting opinion from the winners and losers in the big race, so it is certainly worth tuning in for. The favourite for the race is currently Saxon Warrior, and he will certainly go off as favourite when the race begins. He is currently evens to win the race, although it would be no surprise to see him drift a little on the day after the draw and ground have gone against him. The three main challengers to him according to the betting are Young Rascal, Roaring Lion and Hazapour. 8/1 is the best price out there for Young Rascal right now, while Roaring Lion and Hazapour can be backed at 9/1. These three all offer solid each way alternatives to the favourite if you are looking for something to back against Saxon Warrior. Those looking for horses at bigger prices may be drawn to Knight To Behold, who can be backed at 20/1, while Dee Ex Bee and Masar can be backed at 25/1. These three have all shown they deserve their place in the Derby field, and can be considered lively outsiders ahead of the race on Sunday. There are range of exciting offers currently available for the Epsom Derby across various sports betting sites, and here are just a few. If you are looking for a new betting account and you fancy the favourite Saxon Warrior to win the Derby then this offer from Coral is perfect for you. They are offering enhanced odds of 33/1 for Saxon Warrior to win the Derby, if you sign up to a new account with them. The favourite looks likely to go off at around evens, so the price of 33/1 is far bigger than you are going to get elsewhere. If you are looking to place an each way bet on the Derby then Bet365 are the bookmaker you need to look at. They are offering ¼ odds on the first three places, while many other bookmakers are offering the standard terms of 1/5 odds. If you are looking to bet each way then you should look to take the best price and the best each way terms, for the best each way terms head over to Bet365. If you are looking to back a single on the Derby, then the William Hill 2 clear promotion is something you should look at. This is available for new and existing customers and covers many races each day, with the Derby being one of them. If your selection wins by two or more lengths then on top of your winnings from the race, you will also receive an additional 15% bonus as a free bet to use, giving you something else to boost your betting bank. The Derby is live on ITV and because of this the race qualifies for the 3/1+ Betfair free bet offer. When you place a single on any ITV race including the Derby, if you back a winner with an SP of 3/1 or greater then you will be given a free bet to spend within the next 48 hours. The free bet will be to the value of your stake on the winning bet, to a maximum of £25, and certainly an offer worth looking at when you are placing your bets on the big race if you fancy a runner other than the favourite.